It's our 7th annual festival this year, celebrating everything Walnut Hills! The Walnut Hills Street Food Festival will feature food and entertainment from Walnut Hills on Saturday, September 29th from 11am-5pm, as well as plenty of the fan-favorite activities like the Honey Hill Farm Petting Zoo, and others specifically from our Walnut Hills partners. Right now we're looking for company sponsorships of the festival - please contact us at info@walnuthillsrf.org to learn more about how you can support this festival! All it takes is an email! This YMCA from Kentucky had heard of the work we do at the WHRF and wanted to give back to our community through volunteering. 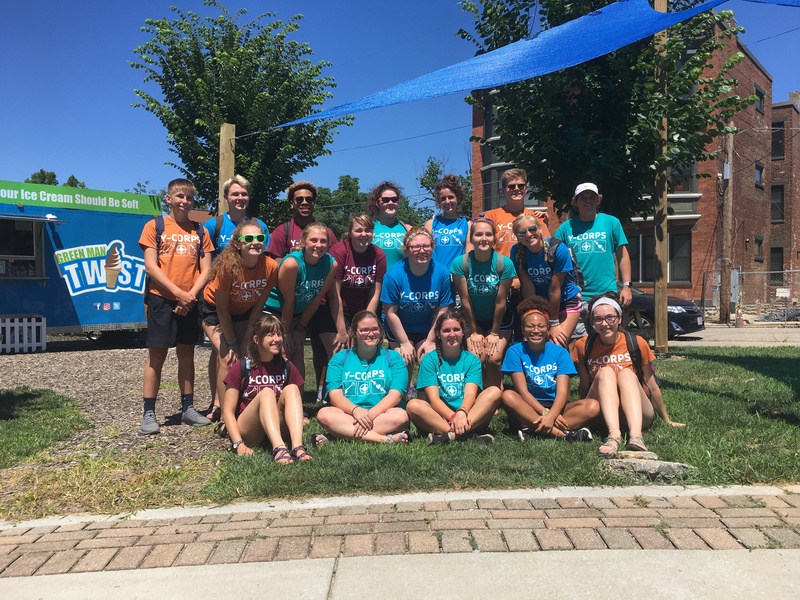 More than 20 high schoolers came to Walnut Hills in early July to help us out with a project: weeding the tree beds and sidewalks from May Street to Kemper on East McMillan. An hour's time, plus a little help from a weedwacker, helped us clean up the sidewalks on that hot afternoon. Know a project that could use volunteer attention? Email info@walnuthillsrf.org !